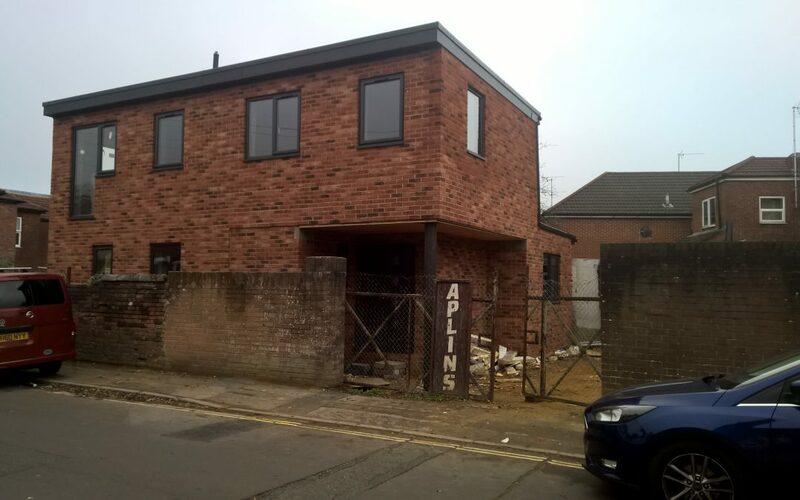 Construction work commenced this year for a new dwelling on an awkward-shaped vacant urban site, that was the victim of persistent fly-tipping. Despite the size and shape of the plot, the building offers a well-proportioned 3-bedroom dwelling with a private walled garden and off-street parking. The external fabric of the building is almost finished, with the rest of the build due to be completed early next year.